The Perfect Descent Auto Belay Gate is the must-have companion for your auto belay. Create a convenient clip-in point for the auto belay when it’s not in use during operating hours. Our belay gates clearly identify the auto belay routes in your gym and remind climbers to clip in before climbing. With the auto belay lanyard secured to the top loop, the Auto Belay Gate becomes a physical barrier that covers the starting footholds on a route and reduces the possibility of climbing without first clipping in. 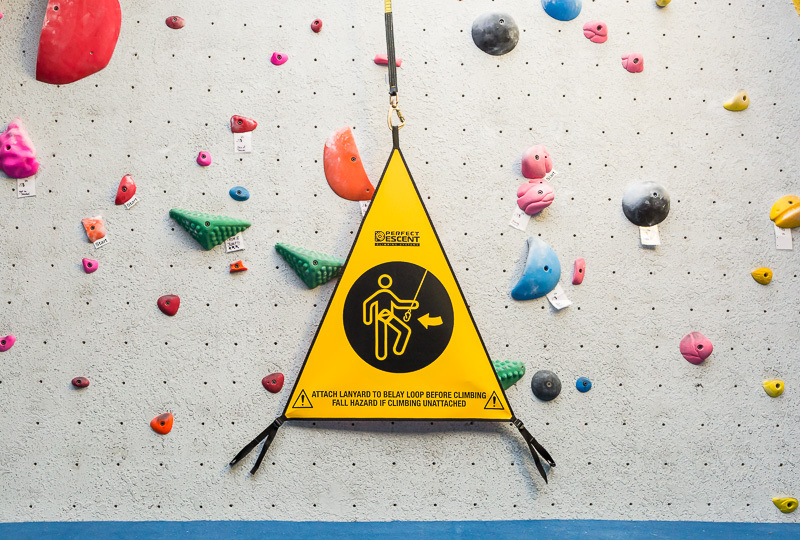 Designed with graphic instructions that make it easy to understand in any language, they are an essential risk management tool anywhere auto belays are used. 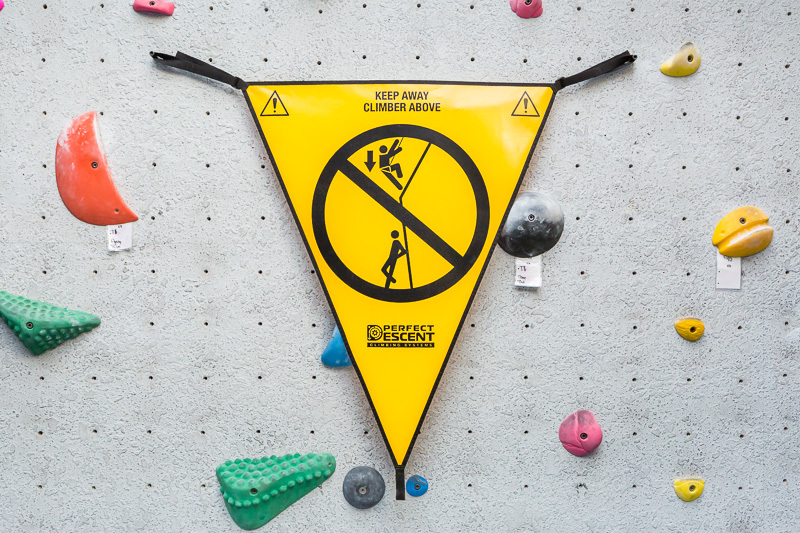 High visibility yellow coloring and clear instructions remind climbers to clip in before climbing. When the gate is laid out on the floor, the reverse side indicates a landing zone for the climber above. 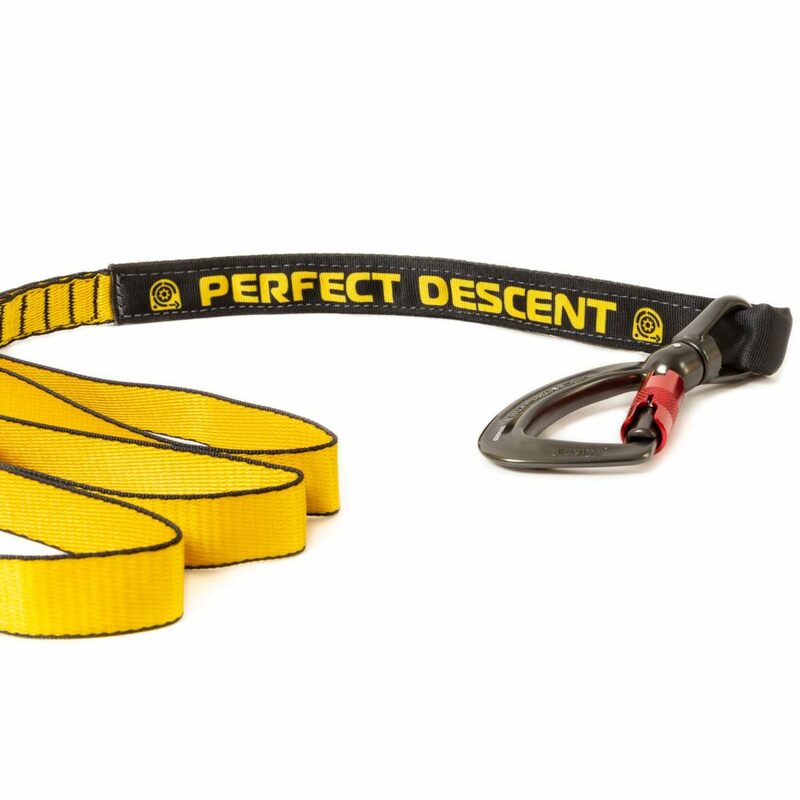 IMPORTANT: When not in use, the lanyard of a Perfect Descent Auto Belay should be retracted completely into the housing. This will prolong the life of the retraction spring. A tag line can be connected to the carabiner for retrieving and returning the lanyard when not in use. 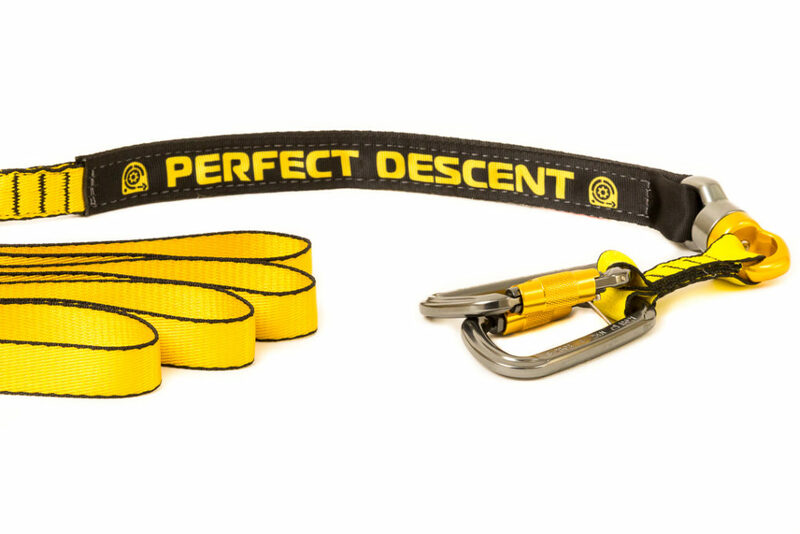 Perfect Descent Auto Belay Replacement Lanyards are durable, can be easily replaced without return service, and are offered in multiple carabiner and length combinations. Replacement is a snap and can be completed in a few minutes. Have backup lanyards in stock to keep units in service with less downtime. 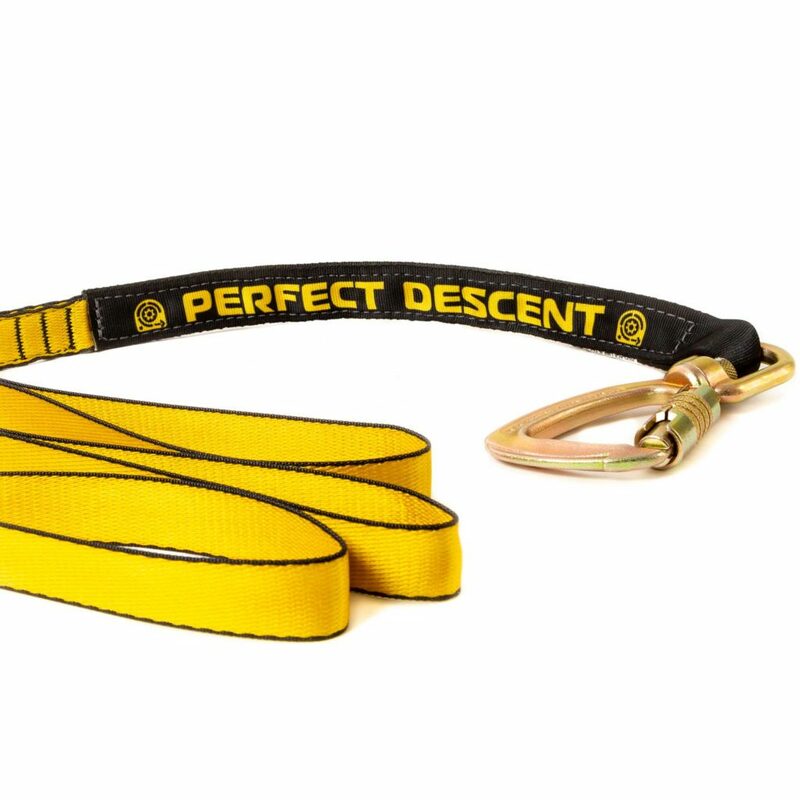 Perfect Descent Replacement Lanyards are made from high quality, 1 in nylon webbing. The eye-catching yellow and black color scheme and built-in wear indicator makes it easy to see when your lanyards are due for replacement. The Belay Bar Mounting Kit can quickly and easily be installed on existing belay bars to create a convenient clip-in point for Perfect Descent Auto Belays. The wide nylon strap ensures that the anchor stays in place and prevents damage to the surface of the bar. A backup sling is included and must be attached to a suitable secondary anchor within reach. The Belay Bar Mounting Kit is as simple to remove as it is to install, allowing you to relocate your Perfect Descent Auto Belays as needed. The Belay Bar Mounting Kit is a pass through, choker style anchorage connector. Made from 5 inch polyester webbing, the mounting kit features a forged steel and zinc plated D-ring and backup sling along with two forged steel and zinc plated carabiners. 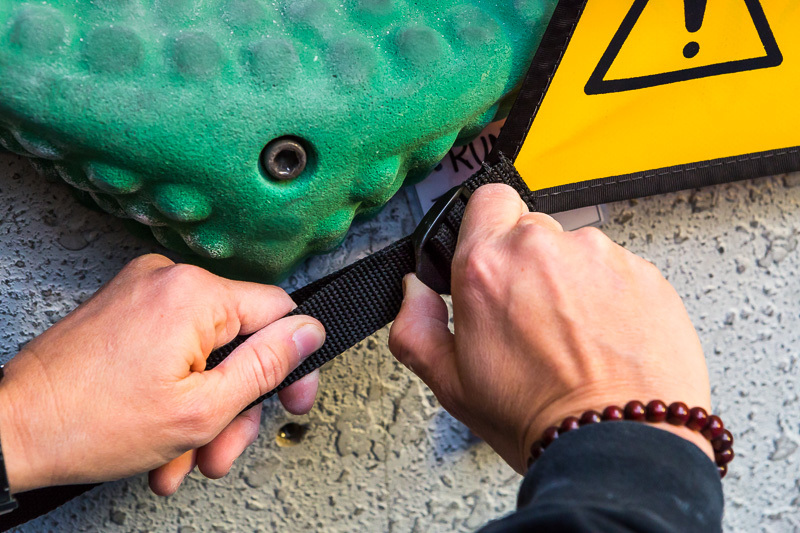 The Belay Bar Mounting Kit must be used with the secondary backup sling and the belay bar must be capped at both ends to prevent the strap from sliding off. Check with the manufacturer of your belay bar and climbing wall, or with a qualified engineer to confirm your system is capable of supporting the anticipated loads.